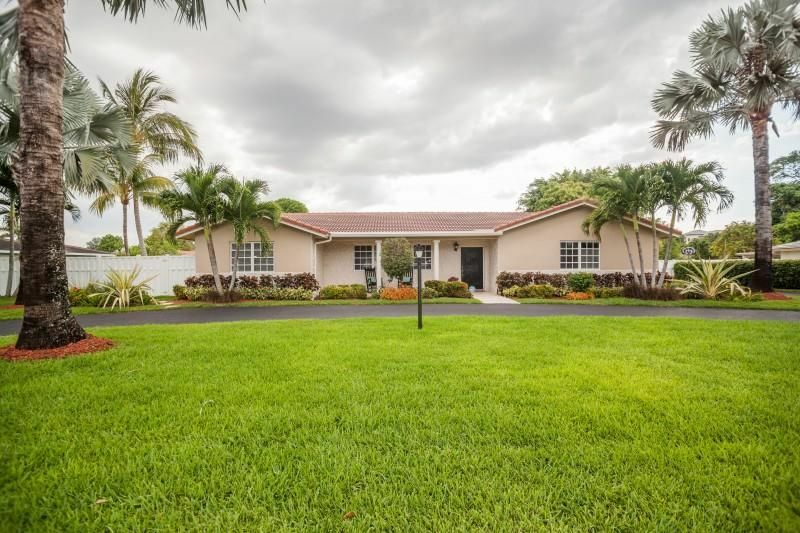 Beautiful, charming home, located in the prestigious Coral Springs County Club neighborhood! Features spacious upgraded kitchen, complete with granite counters, stainless steel appliances, spacious cabinets & large island. Has an open floor plan with crown molding & beautiful stone floors. The master & guest bedrooms have direct access to the pool. Guest bedroom includes cabana bathroom. Large fenced in back yard, 2 car garage & oversized driveway. Close to shopping, schools & dining.Stone floors in all living areas!